As Thoor Ballylee closes for the winter, representatives repeat calls for state intervention on flood relief for South Galway. The Yeats Thoor Ballylee Society, a community group in south Galway which runs W.B. Yeats’s former retreat at Thoor Ballylee, has appealed for State support for the area as it anticipates fresh flooding this winter, the Irish Times has reported. Speaking before a fundraising poetry slam event at the tower this weekend, curator Rena McAllen said flooding at the tower last winter did not recede until March. 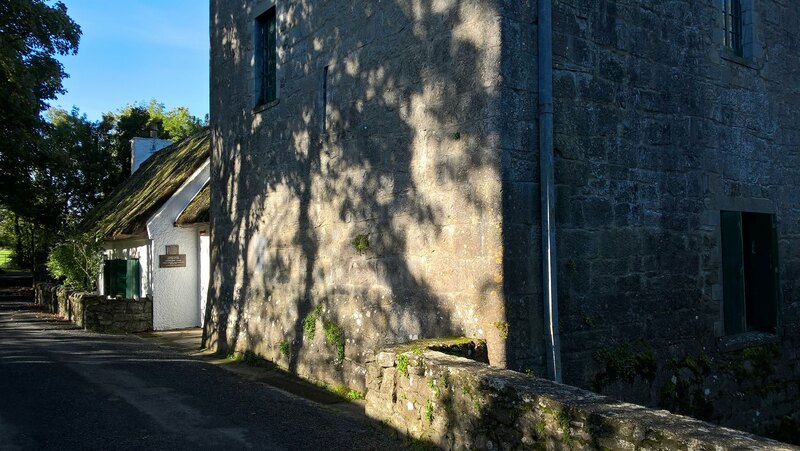 Ms McAllen is part of a community group that acquired a lease for Thoor Ballylee – a 15th century Hiberno-Norman tower house with what Yeats described as a “winding, gyring spiring treadmill of a stair”– after it was closed by Fáilte Ireland due to flooding in 2009. During Yeats’ tenure, the Streamstown river would food the building’s ground floor, but the flooding is now more frequent and much higher. See more in the Irish Times report here. The Yeats Thoor Ballylee Society is pleased to report that there is no immediate risk of of flooding to the tower and cottages. However the water table in the area is very high, and if rain comes then further flooding is in prospect again this winter. Thankfully work has been completed on preparing the tower and cottages for the winter. This means that at ground level it has been entirely clear of its exhibitions and all movable goods. Permanent electricity and heating systems were moved above flood height earlier this year. It is good news that all is dry at present. Still, with flooding increasing year on year, better solutions might be found to relieve the annual uncertainty and the very real cost to livelihoods in the area. Hoping assistance comes for the flood relief! I have noted the importance of supporting this society in my novel set partly there, HOUSE OF EIRE, released this summer.